Looked at a few offers that are around at the moment. Clifton Cameras have the same package at 449 with the £50 code, Same at Jessops. Basket Price is £429.99 but code LWPMV takes £50 off. I've also taken advantage of the Take 3 account at Very. Make 3 monthly payments of the qualifying amount and you pay no interest. DON'T FORGET TO PAY IT, OTHERWISE IT's 40% APR!!! Its only £387 at amazon and their returns are far better. Although a small saving of £4 at very with the code. If you own a D3200 its a good upgrade but for me a D3300 owner there is a minimal difference. Its only £387 at amazon and their returns are far better. Although a small …Its only £387 at amazon and their returns are far better. Although a small saving of £4 at very with the code. If you own a D3200 its a good upgrade but for me a D3300 owner there is a minimal difference. That Amazon price is from a re-seller. My only concern would be the prevalence of 'grey' imports. The Amazon sold version is £449 and out of stock. We have a D3100 in the house, so this is a big step up in features. That Amazon price is from a re-seller. My only concern would be the …That Amazon price is from a re-seller. My only concern would be the prevalence of 'grey' imports.The Amazon sold version is £449 and out of stock.We have a D3100 in the house, so this is a big step up in features. It is a big step up, gone from a D5100 to a D3300 and despite the slight lack of flip out screen this camera is better. With regards to Amazon I see your point but as its fulfilled by amazon its sort of a safe bet, grey imports concern me also. Posted last week but with £75. So what you're saying is that this is currently the cheapest price, thank you. So what you're saying is that this is currently the cheapest price, thank …So what you're saying is that this is currently the cheapest price, thank you. They are all Grey Imports that are being advertised by Amazon. 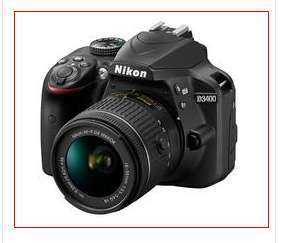 Best price I could see is £399 from Wex, for a UK Model with a Nikon UK Warranty..